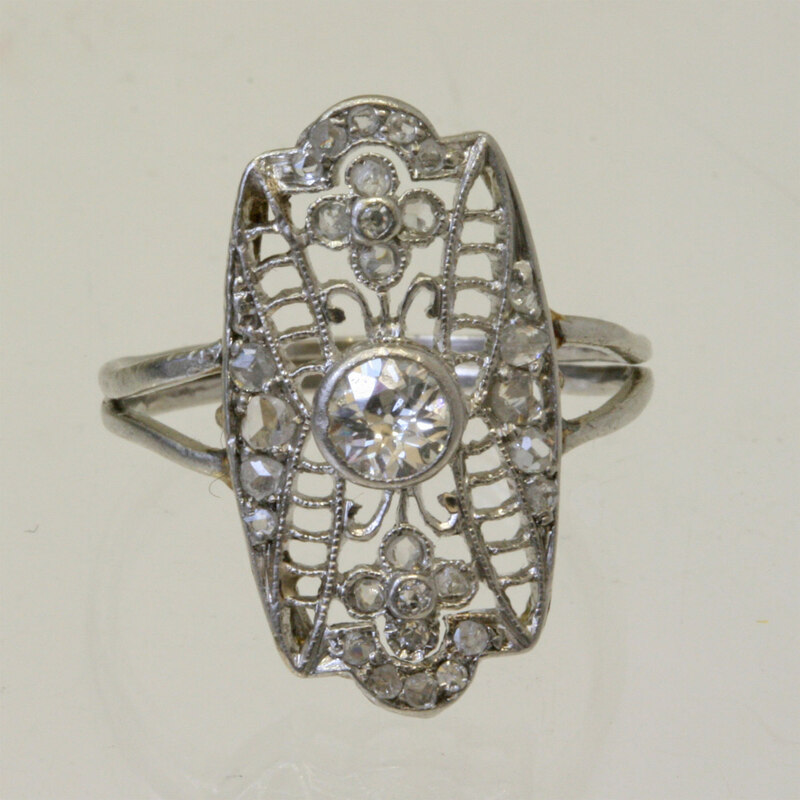 1920’s Platinum Art Deco ring. Product code: 767 Categories: Sold Items, Sold Rings. Platinum is typical of the Art Deco era of the 1920’s, and the advantage of its use, is the very fine wire that it can be pulled into, yet still retain its strength. In this wonderful Art Deco diamond set ring, the fine platinum wire is an integral part of the geometric design, making this ring look sensational. Set with a total of 31 diamonds, from the central European cut diamond, to 2 single cut diamonds and 28 rose cut diamonds, the total diamond weight is 0.63cts. 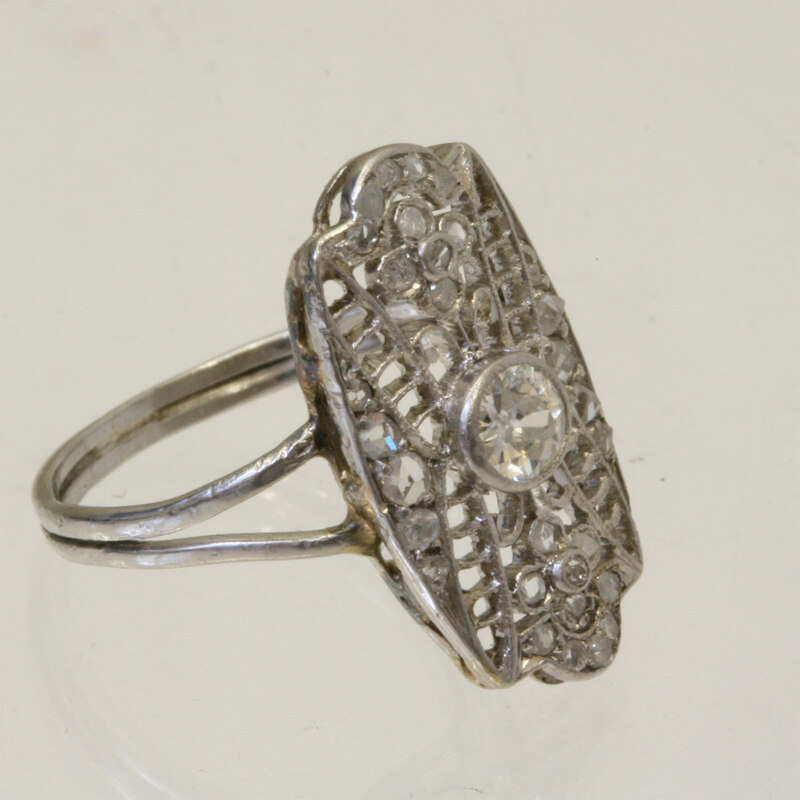 If you are after a genuine Art Deco diamond ring, then this one might just be the one.